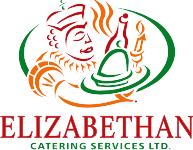 Brunch - Elizabethan Catering Services Ltd.
A brunch is a wonderful way to spend a Sunday Morning. The choices for Brunch are obviously endless, and we would be happy to customize any suggestions that you may have for us. As a Brunch is a combination of Breakfast and Lunch, eggs of some sort are generally features, together with main meat selections, such as Roast Beef. For a change of pace, one of our chef’s can come down and cook at a crepe bar, or sauté bar, or carve the meat. Whatever you would like, we would be happy to suggest some menu ideas to you.